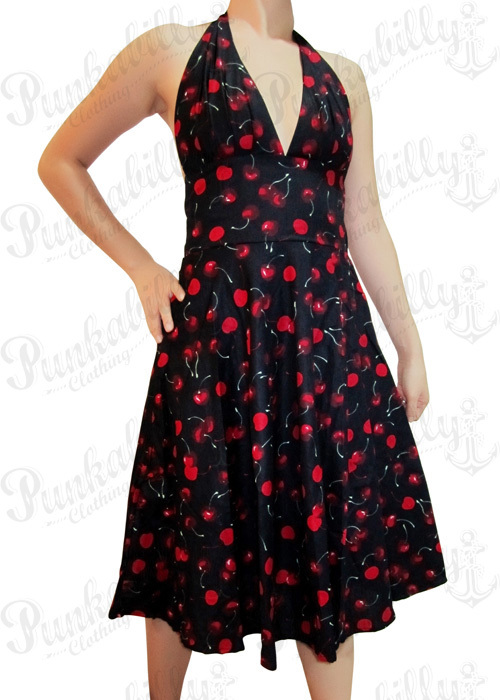 You can't make a mistake in this strapless wiggle dress. 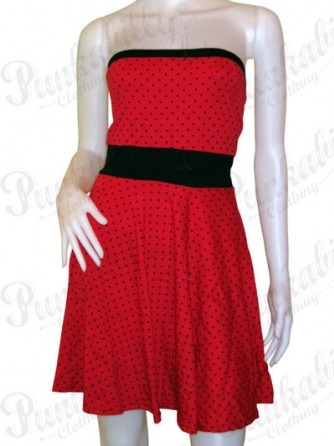 The combination of red color with tiny black polka dots will keep you rocking and swell. 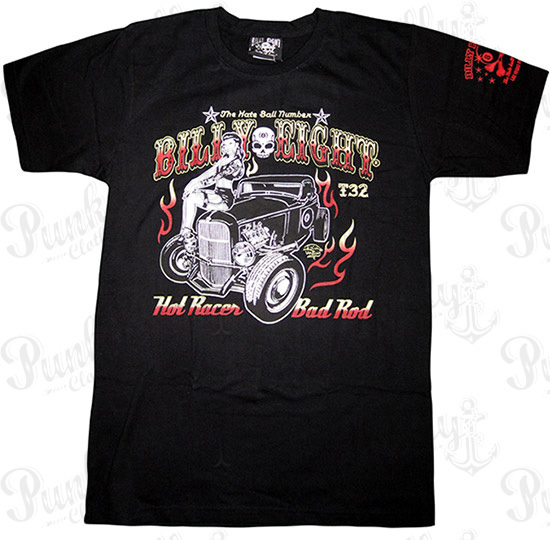 This rockabilly item crosses the fashion lines and brings you a unique smell of punk rock in the air.